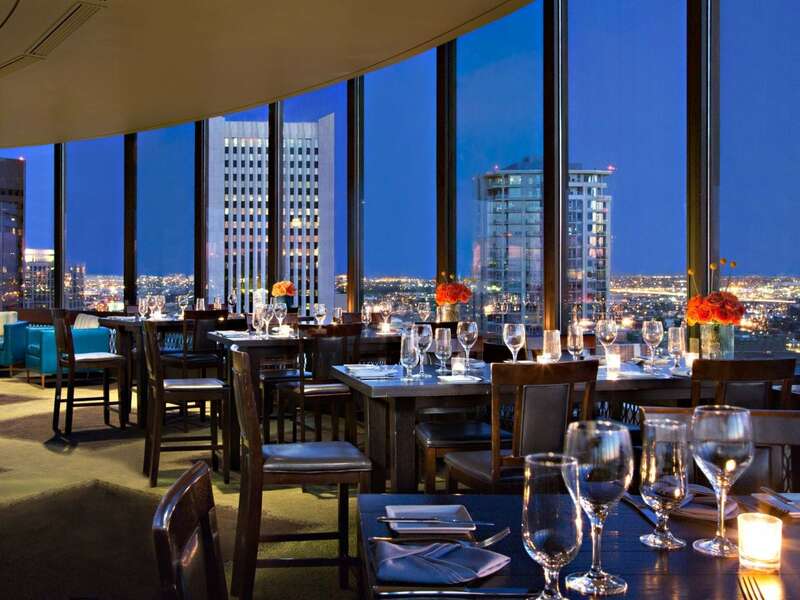 Savor the food, and the atmosphere, at Hyatt Regency Phoenix. Kick-start your morning with a made-to-order omelet at Networks. Watch the game in the evening while enjoying familiar favorites with a Southwest twist. 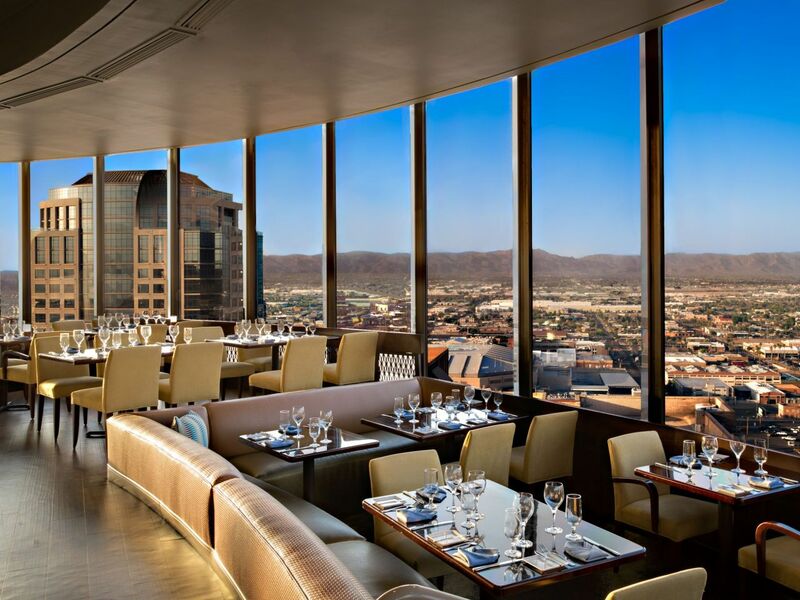 Or admire views of the Valley of the Sun at Compass Arizona Grill, our revolving rooftop restaurant serving new American cuisine in a captivating setting. Explore our restaurants below, or venture outside our hotel to experience the unique dining scene of Phoenix, Arizona. Set the stage for an exciting night on the town with a table by the window in our revolving rooftop lounge, featuring unsurpassed views of the Valley of the Sun. Savor a superb appetizer and share a bottle of Champagne as you toast the future, or enjoy an after dinner wine and sweet treats. 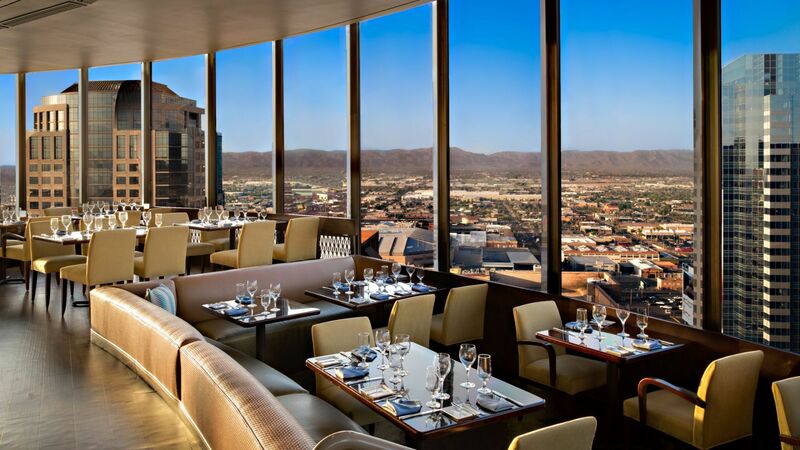 Take in 360-degree views of the valley's mountains and cityscape in the only revolving restaurant in Arizona. 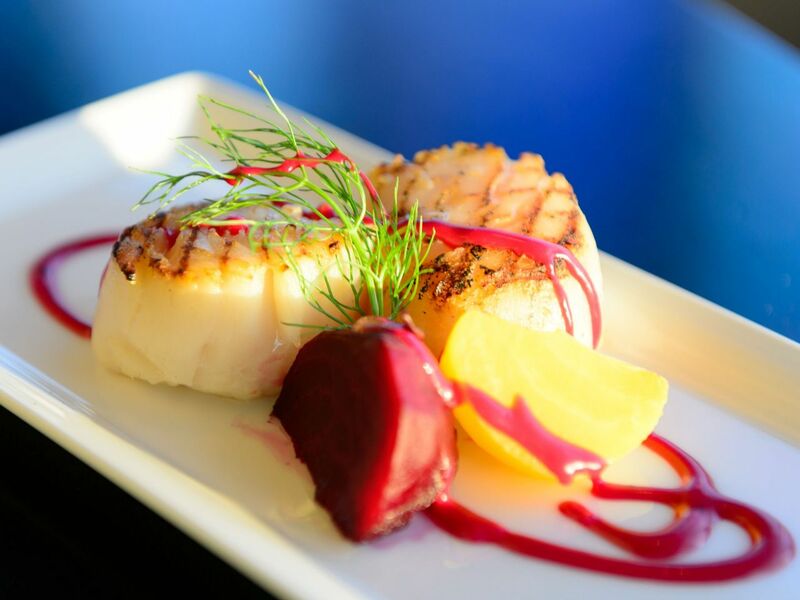 Hyatt Regency Phoenix's award-winning Compass Arizona Grill delivers american southwest cuisine with local flavors and ingredients. Join us in the Compass Lounge to start or end the night. Sample sharable appetizers paired with a made to order spirit or wine while taking in views of the Valley of the Sun. Relax and enjoy Late Night Happy Hour Sunday through Thursday from 9:00pm -11:00pm for sips and sweets specials. 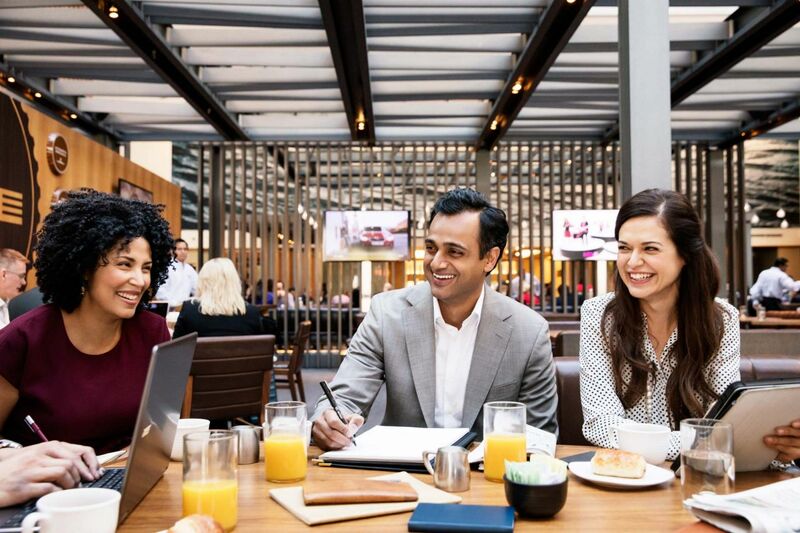 Kick off your day with a hot breakfast buffet at Networks, located at Hyatt Regency Phoenix directly across the street from the Phoenix Convention Center. Get energized with fresh-brewed coffee or tea, breakfast sandwiches, made-to-order omelets, pastries, and fruit parfaits. Eat healthy with cage-free eggs, hormone-free milk, nitrate-free bacon, and gluten-free dishes. Later, revel in Networks’ lively atmosphere while you catch your favorite team on one of our 13 HDTVs. Get together on the patio of our downtown Phoenix bar for Happy Hour drink specials and savory sandwiches. Cap off your evening with a late-night snack, like jalapeno cilantro hummus or a quesadilla, and pair it with a hand-crafted cocktail or beer. Grab 'n' go with delicious freshly made breakfast, lunch, and snack items. Market offers Starbucks coffee and hot and cold beverages-bottled water, juices and sodas, as well as beer and wine. Delivery to your room is available.